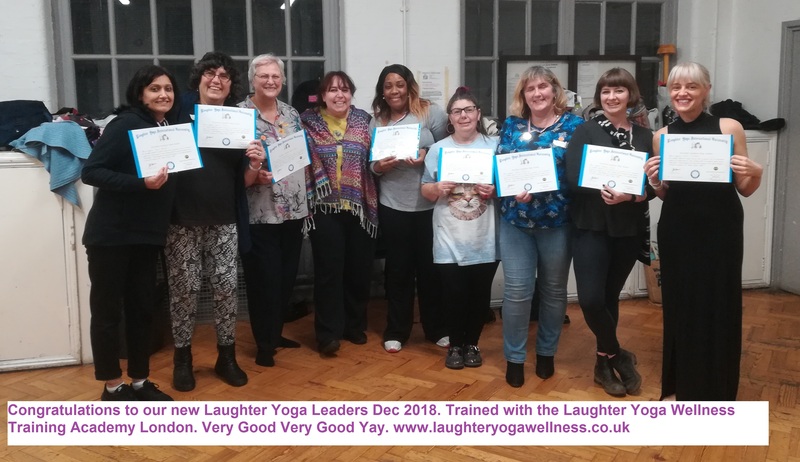 This is a special extended Course with over 4 extra training hours and it includes the fully certified laughter yoga leader training as outlined by the Dr Kataria school aka Laughter Yoga International. London just one stop from Kings Cross mainline stations/tube) The ideal location for those of you heading in from out of Town. Pre-requisite: Having participated in a Laughter Yoga Workshop. 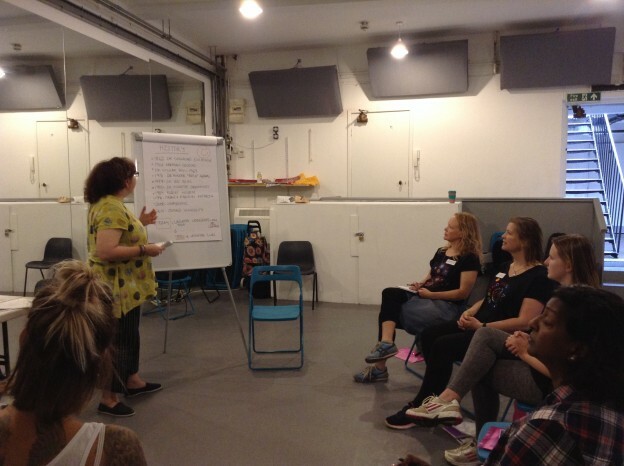 Contact Odette for details of her laughter classes or another that you can attend prior to training. If you have any questions regarding this please speak to us. It comprises of two days of Laughter Yoga Leader Training as originally outlined by Dr. Madan Kataria, a perfect mix of theory and practical. Founder of the Laughter Yoga Movement plus an extra 4 hours of training allowing you to go deeper and learn more. Also you will plan and co-lead your first class. The venue is in London Angel and Islington, Just one stop from Kings Cross. Numerous Hotels and Hostels in the area too making this an ideal location for out of towners. All courses require 4 participants minimum in order for the training to go ahead. Please check with us before making travel/accommodation bookings. We are not responsible for any out of pocket expenses you may have in the event of the course being cancelled. Please ensure you have adequate travel insurance in place that may cover you for such expenses. This entry was posted in and tagged Laughter Yoga, laughter yoga advanced training, Laughter Yoga Course, laughter yoga leader, laughter yoga leader training, laughter yoga training, laughter yoga training glastonbury, laughter yoga training london, Laughter Yoga Training UK, laughter yoga training with odette, laughter yoga wellness training academy, laughter yoga with lady haha on 9th May 2019 by Odette. This is a special extended Course with 4 extra training hours and it includes the fully certified laughter yoga leader training as outlined by the Dr Kataria school aka Laughter Yoga International. London a short stroll from London Kings Cross and Euston mainline stations/tube) The ideal location for those of you heading in from out of Town. The venue is in London Kings Cross, Just a few minutes walk from Kings Cross Tube and less than 10 minutes stroll from Euston. Numerous Hotels and Hostels in the area too making this an ideal location for out of towners. This entry was posted in and tagged Laughter Yoga, laughter yoga advanced training, Laughter Yoga Course, laughter yoga leader, laughter yoga leader training, laughter yoga training, laughter yoga training glastonbury, laughter yoga training london, Laughter Yoga Training UK, laughter yoga wellness training academy, laughter yoga with lady haha on 9th February 2019 by Odette. 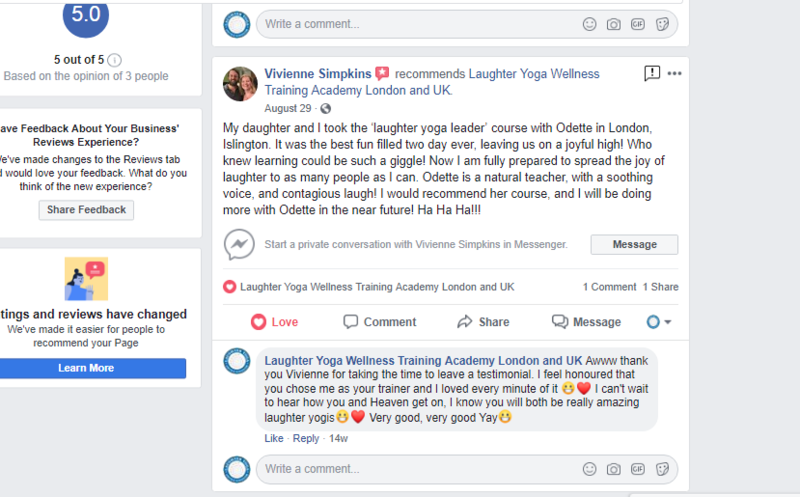 This entry was posted in and tagged lady haha, Laughter Yoga, Laughter Yoga Course, laughter yoga leader, laughter yoga leader training, laughter yoga training, laughter yoga training academy, laughter yoga training glastonbury, laughter yoga training london, Laughter Yoga Training UK, laughter yoga wellness on 30th November 2018 by Odette.